Sea to Summit Blåmann Vertical starts at the sea and climbs directly to the 1044 m summit of Blåmann, the highest summit on Kvaløya island. 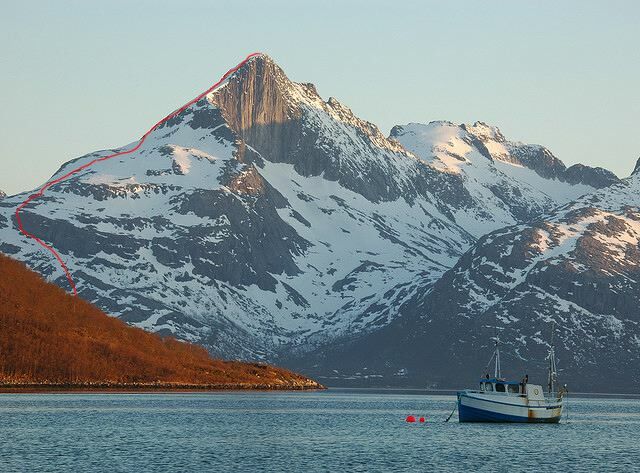 Just 20 minutes from Tromso, the summit is iconic, and the north face is one of the most famous climbing walls Northern Norway. The race is a part of the Vertical Kilometer World Circuit. Cut-off time at 500 m: 45 minutes. The start is at Blåmann parking. It is about a 20 minute drive from Tromso here the map , A bus will take the runners from Tromsø (Hotel The Edge) to the start and back. Store Blåmann or Blåmannen is the highest mountain on the island Kvaløya in the municipality of Tromsø in Tromscounty, Norway. 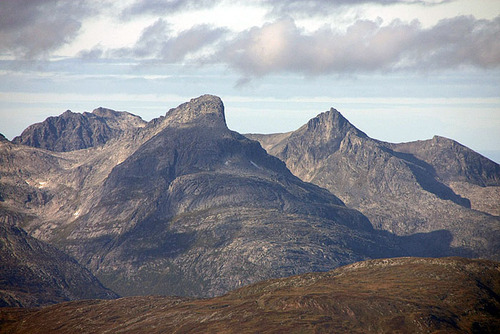 It’s located on the northwestern part of the island about 16 kilometres (9.9 mi) northwest of the city of Tromsø. The mountain has an elevation of 1,044 metres (3,425 ft). The mountain summit can be accessed without special climbing skills or equipment, but caution is advised on the last part of the climb, which can be difficult in wet conditions.